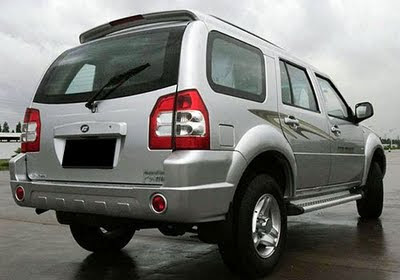 Force One SUV is 7-seater with 3 rows powered by 2.2 Liter common rail turbo diesel engine which delivers a power of 140Bhp@ 3800 rpm and 321 torques @ 1600 rpm with 5-speed manual transmission gearbox. It has a top speed of 160 kmph. Force One SUV will offer best in class interior quality. 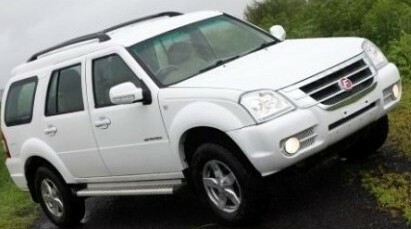 It comes with 16 inch alloy wheels, has higher road clearance of 205mm and has 70 litre Fuel Tank. 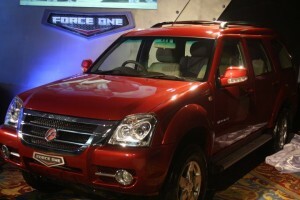 The Force One SUV will compete against the Mahindra and Tata Safari's new models. Other features are information system, cruise control, audio control mounted on steering, electric outside mirrors, distance to fuel empty sensor, real time fuel-efficiency sensor, gear selection, Power Steering, Tiltable Steering, Central lock, Power window, Projector Head lamps with day night adjustments, electrically controlled ORVMs, Wooden Finish panel, dual A/c vents in all 3 rows, Aux Audio and Bluetooth controls on steering wheels, JVC 2 din Audio system with 4 speakers and USB, Key-less Entry, Rear Defogger. The SUV will be made available in four metallic clear coats and one solid white that are tested and proven to beat the heat, dirt, and water at the same time being scratch resistant. Tags:- Force One India details, Force One India features, Force One India specs, Force One India launch, Force One India mileage, Force One India india price, Force One India india details, Force One India india varients price, Force One India variants,Force One India pics, Force One India pictures, Force One India images, Force One SUV India , SUV's in India, Indian SUV's.